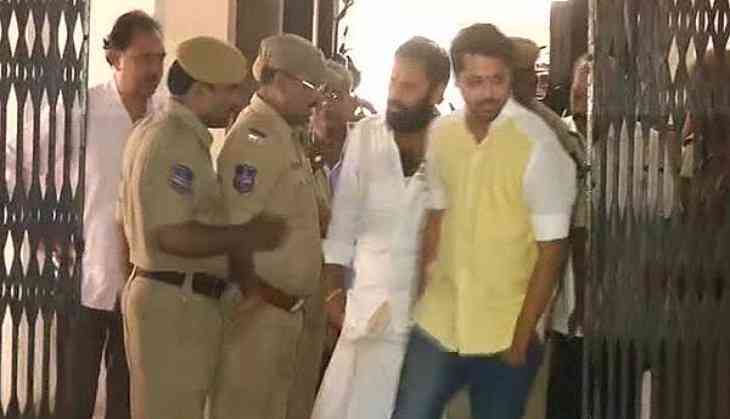 Tollywood actor Ananda Krishna Nandu on Tuesday appeared before the Special Investigation Team (SIT) in drug racket case. Nandu arrived at the excise office here after receiving notice from the excise department. Before arriving at the office, he performed Pooja at Matha temple located in the excise office. Yesterday, the SIT of Telangana's Excise Department, probing a Hyderabad drug racket, questioned Telugu film actor Tanish Alladi for nearly four hours. According to reports, with the examination of Nandu, questioning of all the 12 persons connected to film industry, who were served notices, would come to an end.